The Keurig green mountain coffee company is on the road to recycling plastic coffee containers. Its expected that by the end of 2018 all K-Cups that are produced in Canada will be recyclable. Keurig has chosen the polypropylene #5 plastic because it will still give you that great taste of coffee, and can also be recycled. This plastic is sought after by recyclers, as it can be made into all sorts of products people use. Once all the pods are changed over to recyclable it will be the equivalent of taking 6700 vehicles off the road for a year. This number 5 plastic is also used in yogurt containers, butter containers, pill bottles, and even your travel shampoo bottles. The K-Cup pods can be easily identified for recycling by the sign on the box or packaging, and the number 5 recycle symbol on the bottom of each pod. There will be nearly 20 billion coffee pods used this year, so it is good to create a recycling pod for these, and will save having them go into landfills. Any of your coffee grounds leftover can be used in your garden, adding some nitrogen to the soil. Composting coffee is now more convenient with 100% certified coffee pods designed for composting. Your tomatoes, blueberries, roses, and what ever else is in your garden will appreciate it. The coffee grounds can also be used as a mulch for your plants, and it has been found to keep slugs and snails away from your plants if you sprinkle it around them. If you have a compost pile the coffee grounds can also go their along with the paper filters as they are also compostable. 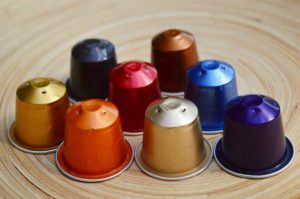 Nespresso coffee pods are also recyclable, as these are made of aluminum. Also, the pods that Starbucks uses in there Verismo pod coffee maker, plus the Tassimo T-disc pods can be recycled. You will need to peel off the top on these, then removing the grounds and paper filter from the pods. Nescafe pods are made from number1 and 5 plastics, and can be recycled after removing a foil layer and plastic filter. Nestles is working on a simpler recycling solution for their pods, but with most of these pods you need to remove the top or plastic foil, then remove the coffee grounds and give them a water rince, and toss in the recycling bin. There still are recycling plants where the K-Cups because of being too small will slip through the process, and end up in landfills. A cement plant in British Columbia teamed up with Van Houtte coffee services, which collect the pods for recycling. The pods are dried out and heated to 2000 degrees to form an ash, which in turn is made into cement for the foundations of homes and other buildings. 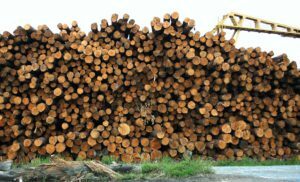 Other small companies will sell you the pods, then when finished being used will collect them and have the plastic recycled into plastic lumber for decks or benches. When recycling the coffee pods it can be a challenge, because the materials used are not standardized throughout the industry. The pods have to be examined to determine which is recyclable and when it is not, and many recycling companies don’t have the technology or manpower to do this. It is expected that by 2020 all K-Cup pods in North America will be recyclable, and 100% of K-Cups produced in Canada are recyclable as of this year, 2018. Now about the paper coffee cups which are recyclable, the problem with these cups is that they are lined with plastic polyethylene, which makes these cups waterproof so they can hold your coffee. Also, if not washed out then they are contaminated from your drink. This all means that these cups cannot be recycled at a standard recycling plant, and have to be recycled at special companies that are set up for this. 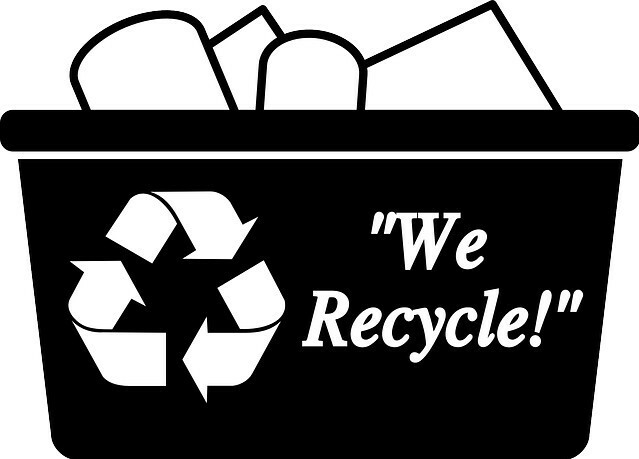 So the reality is that only 1% of coffee cups end up being recycled. The non recycled plastic going to land fills can take hundreds of years to break down, with the result being tiny micro plastics that can enter the food chain with these toxic chemicals ending up in us. And just to produce the paper cups trees are cut down for cups that are only used for the length of time it takes you to drink your coffee. So as you can see the foot print on the environment for coffee cups is not good. In the U.K. they will go through 7 million cups in a day, adding up to 2.5 billion per year, and have only 3 places for these cups to be recycled. With this problem with disposable coffee cups, the government and companies are aiming for all coffee cups to be recycled by 2023 in the U.K. The paper cups in Canada can be recycled now, which include the coffee cups from Tim Hortens, Starbucks, and McDonalds, and also the soft drink cups you find at most fast food places. At the recycling plants the paper cups go to a paper pulp processor, where the paper fibers are taken out and made into new materials. Actually a better choice is that when getting your coffee is to use your own reusable mug, when ever possible, which will help prevent so much waste, and save some resources. Starbucks will eliminate the plastic straws from all their locations in 2 years, and instead will use biodegradable material for the straws. A&W food services of Canada will eliminate all plastic straws by the end of this year. Let’s hope that other large fast food chains follow these ideas. The plastic straws add up to about 2000 tons of the nearly 9 million tons of plastic that end up in the water. Nespresso in Australia has teamed up with Terracycle to collect their coffee capsules, and their can be found public drop off locations around the country for them. If a collection point cannot be reached in Australia, then the coffee capsules can be mailed back using a special post satchel. After collecting the capsules are then shredded and melted, and turning them into new aluminum products. Nespresso now has 14,000 collection places worldwide, and 39 countries now with the recycling for Nespresso. In conclusion, it is good to see the coffee companies taking responsibility to find ways to recycle their pods, capsules, and cups, so to have less pollution and help the environment. Any comments on keeping the planet cleaner from our coffee waste are always appreciated. You can get your coffee makers at most local stores.